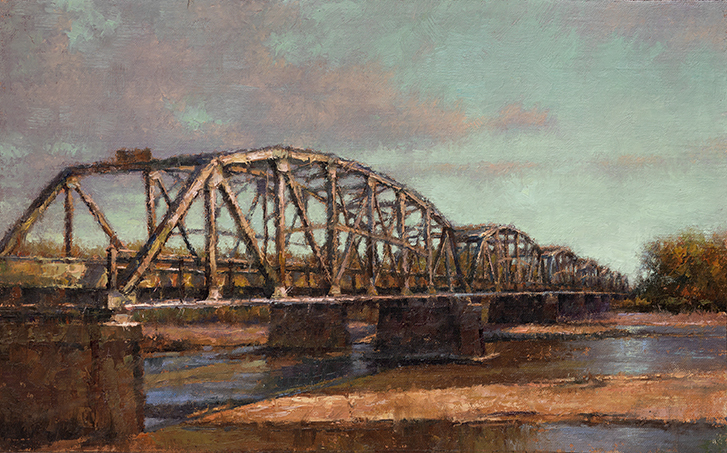 Artist Todd Williams, whose "Painting the Legacy of Nebraska" wowed visitors in 2017, is returning to Stuhr Museum this summer. Williams will present a workshop on Thursday, May 2 - Saturday, May 4th where he will teach his method of creating art all the way from choosing a subject to creating a finished product on canvas. Each day's workshop will run from 9 am - 4:30 pm and anyone who signs up for all three days will receive a membership to Stuhr Museum to encourage them to come back and find more inspiration on our grounds. Williams will provide demonstrations and individual critiques and all levels, beginner to advanced, are welcomed. Williams, a nationally known painter who's work has been exhibit across the country, will help guide artists as they create work in their choice of media. With over 200 acres and more than 100 structures on grounds, Stuhr might provide inspiration for artists during this workshop. Artists will need to bring their own materials, a full list of which can be found in the brochure (above). The cost of the reception is $450 for all three days or $175 per day. Registration is opening soon. For more info, contact Kari Stofer at (308) 385-5316 or via email at kstofer@stuhrmuseum.org.